In olden days designing process can be done by fixing bare copper wires and electrical and electronic components to a wooden board and soldered to them. In some cases a schematic diagram was first drawn on a paper and pasted on the board for placing the components. The required components were placed over their symbols on the paper which is glued to the board. Breadboards have developed over time and used for all types of sample electronic devices. For instance, The breadboard circuits which are commonly used today is generally designed with white plastic material and it is a pluggable board. Electronic breadboard was designed by Ronald J in the year 1971. 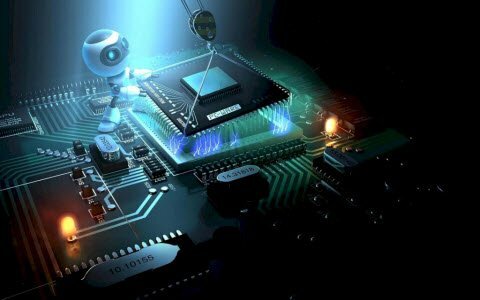 Generally, success in early projects plays a vital role in the career of electronics professionals and engineering students. Many students quit electronics because they fail in their first attempt of their electronic projects circuits. After a few disappointments, student has a misconception that electronic projects working nowadays might not work properly tomorrow. Therefore, I recommend beginners start with those projects on breadboard which will work or not in your first attempt Before you proceed, you must know how to use a breadboard device. If you don’t know the idea about the breadboard, then here is the article which gives the various steps in building a project on bread board. The name of the breadboard comes from the early days of electronics, when people would exactly drive screws into boards on which they cut board in order to place the components. A breadboard is made with a plastic material in a rectangular shape with a huge number of tiny holes. These holes let you simply place an electronic components to build an electronic circuit which is assembled with various components. The connections on the breadboard are not stable, so it is very simple to remove a component if you make a wrong connection. Breadboards are very great for beginners who are new to electronics. By using this, you can make different fun electronic projects. Breadboard is used to design various electrical and electronic projects in less time without soldering.But in the field of electronics, there are many students or beginners are facing lot of problems. 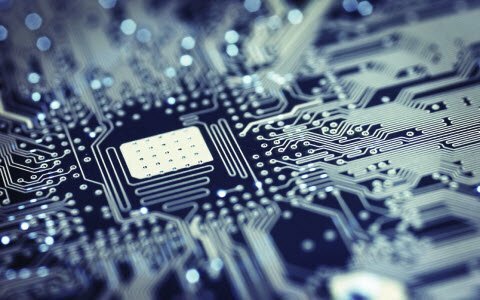 Because, they cannot solder the components cleanly on PCBs (printed circuit boards). The joint of one bad solder can cause the project damage. When the project doesn’t work properly, they generally lose their confidence and stop to continue designing projects. Current breadboard circuits are designed with a plastic material, and available in different sizes, shapes and colors. Generally, the most common sizes you will see are mini size, half size and full size bread board. Some bread breadboards are designed with notches and tabs on the sides of the board that let you snap several boards composed. But, a single half-sized breadboard is enough for numerous basic level projects. The diagram of the breadboard circuit is shown below and the horizontal and vertical connections of the breadboard are represented by red lines. The upper and lower parts of the breadboard are equal and have 4-horizontal connecting strips. The middle part of the breadboard has vertical connecting strips divided by a horizontal channel in the middle. 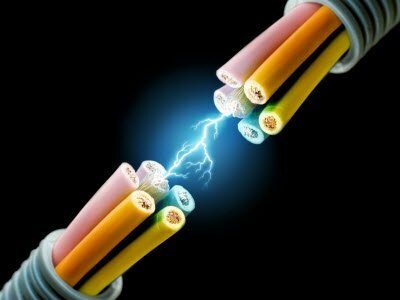 Each connecting strip is electrically isolated with other strip. The lead of the any component can be plugged into a hole of the board. For instance, here we have taken automatic dark detector circuit diagram. The circuit connections are shown below and transforming a circuit onto a breadboard layout is not transforming a circuit diagram to a breadboard layout is not direct because, the connections of components on breadboard appear quite different from the above circuit. Before placing components on breadboard circuit, you should concentrate on their connections, not their locations on the circuit diagram. A breadboard circuit is used to test electronic projects and the components which are used on the breadboard can be reused for other projects. 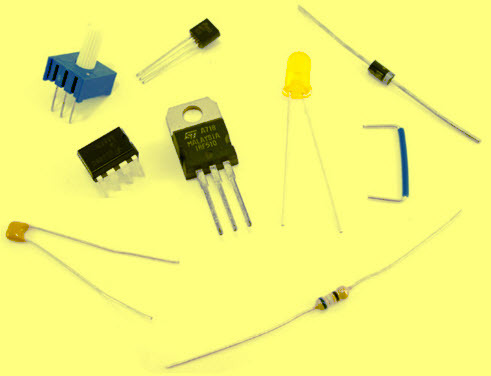 The components which have long metal legs those are compatible with the breadboard circuits. Sometimes, shorter metal legs also fit with the board. 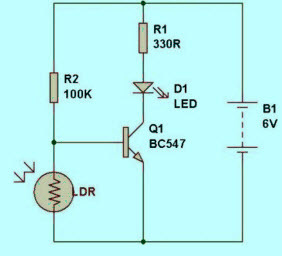 The electrical and electronic components of the dark detector circuit mainly include: NPN Transistor (BC548, BC147, BC547), 100K and 330Ohm resistors, LED (Light emitting diode), LDR (Light dependent resistor), 0.6mm diameter single core plastic connecting wire and 9V battery. Get the components which are required for the above schematic diagram and give the connections on the breadboard circuit according to the circuit diagram.The interconnections between these components can be done by using connecting wires. 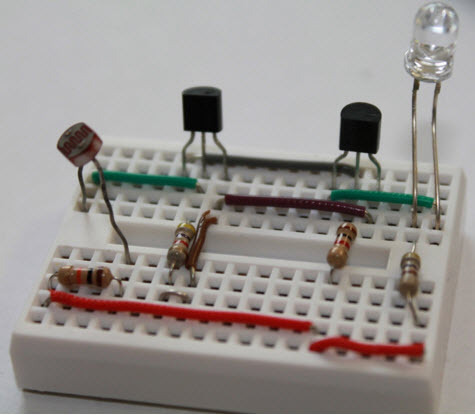 Don’t Miss: Breadboard projects for beginners in engineering. 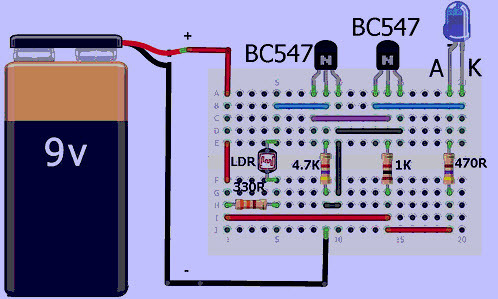 Finally, give the power supply to the breadboard board circuit using a positive and negative terminals of the battery. If you connect the battery in the wrong way, then they won’t give the supply to the breadboard and reverse polarity of the battery on the board may damage, so make sure to connect the battery in the right way. 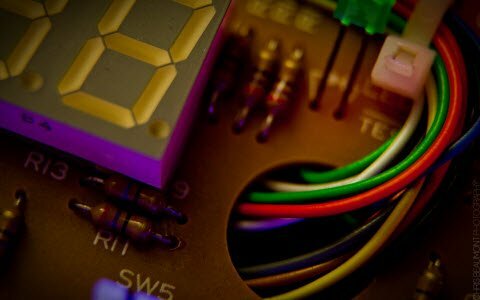 Thus, this is all about the various steps to building a project on the breadboard circuit. We hope that you have got a useful information. 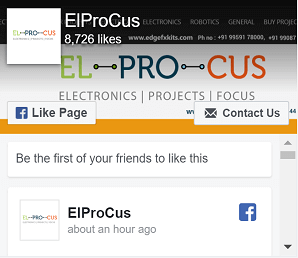 Furthermore, any queries regarding this concept or electronics projects, please give your feedback by commenting in the comment section below. 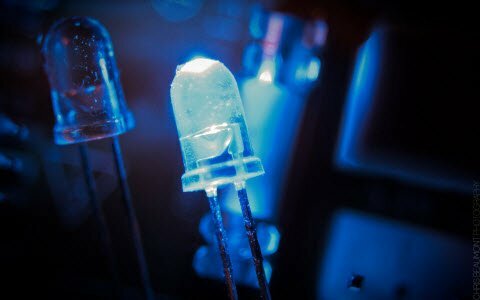 Here is a question or you, what is the difference between active and passive components? For more detailed information and mini project ideas please refer to the link.